For most of us travelling is part of our lives, whether it's for leisure or work. 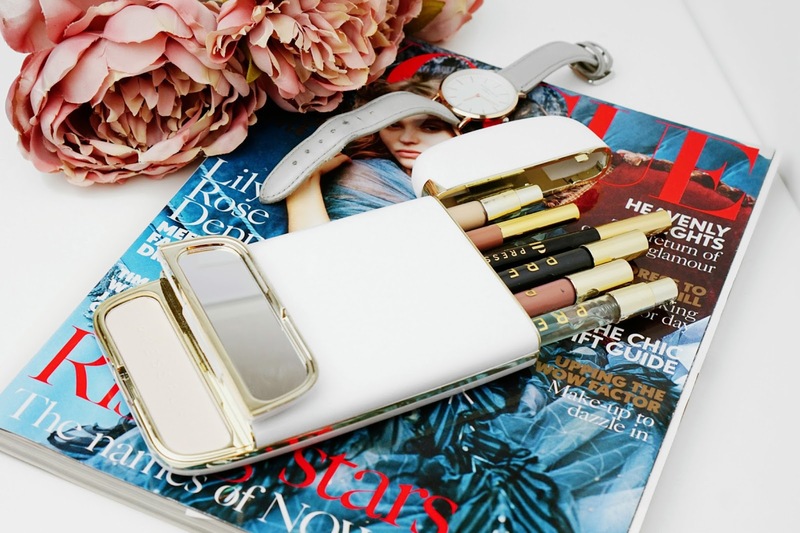 Trying to fit all your favourite makeup and skincare products in one bag can be tricky and I for one don't always enjoy carrying around a large makeup bag. 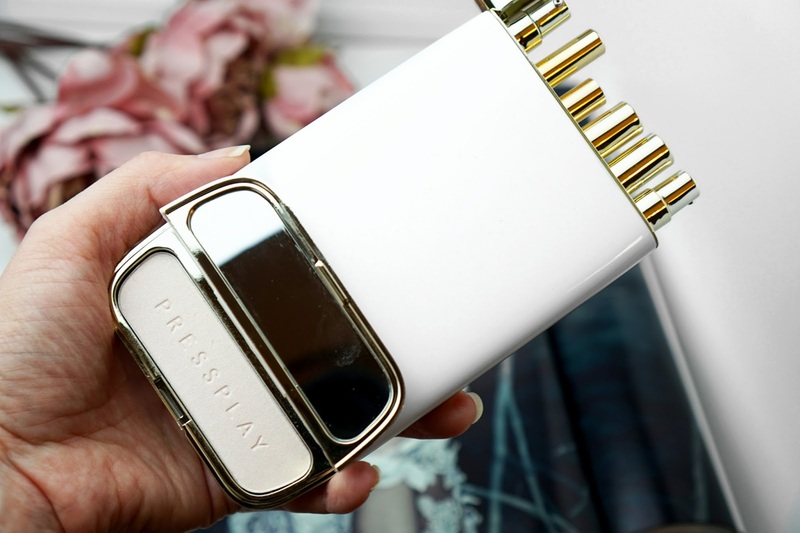 Pressplay Cosmetics have found THE solution for this: a makeup Capsule the size of a large smartphone that is lightweight and holds all your makeup essentials. How it works? Let me show you! 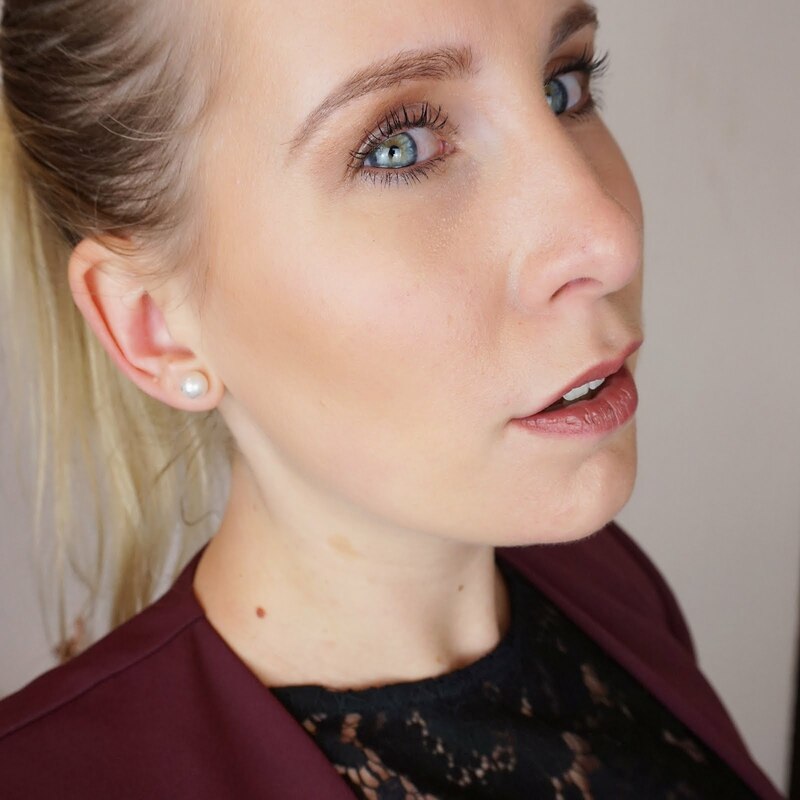 Pressplay Cosmetics is an Australian brand developed by beauty therapist and skincare specialist Kate Flammea. While running from meeting to meeting, Kate wanted to ensure she had all her essentials with her to still look her best, so the Pressplay Capsule was born. 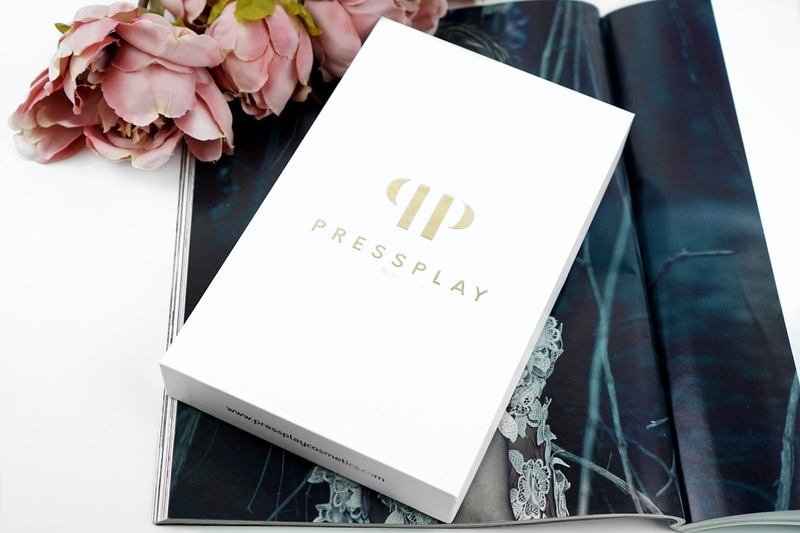 The Pressplay Capsule is a cosmetics system that allows you to take your beauty and skincare items on-the-go. 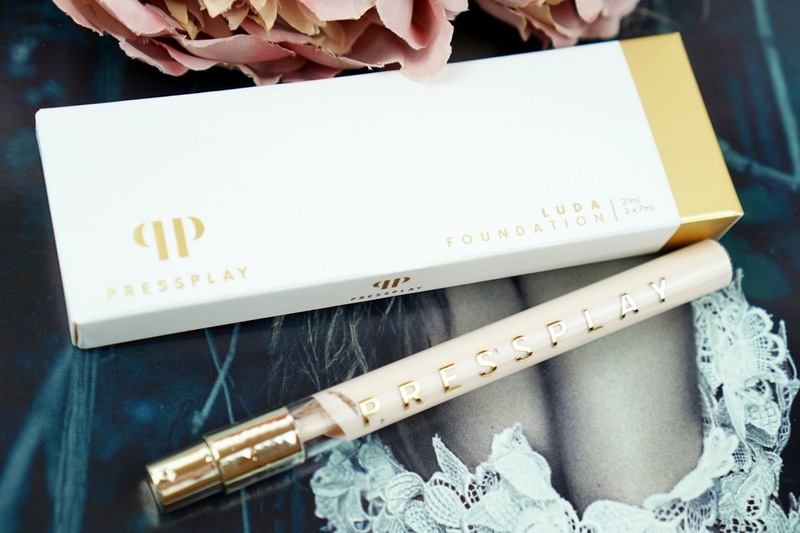 Pressplay currently has a range of 27 products consisting of: foundation, concealer, highlighter, powder, bronzer, blush, eyeliner, mascara, eyebrow pen, face cream, sun cream, hand cream and hand sanitizer, with a fragrance range on the way. The Capsule comes in a beautiful white with gold foil box and a felt/velour bag to protect it whilst travelling. The Capsule itself is made of gorgeous glossy plastic, in white or black with golden accents, is super lightweight and has a very luxurious feel to it. At the top, it has a lid that flips open and reveals slots that can hold up to six liquid products. The lid at the bottom can be opened upwards and is held open with a magnet hidden inside the main pocket. The bottom lid reveals a handy mirror in a decent size and a pocket that holds one powder product. 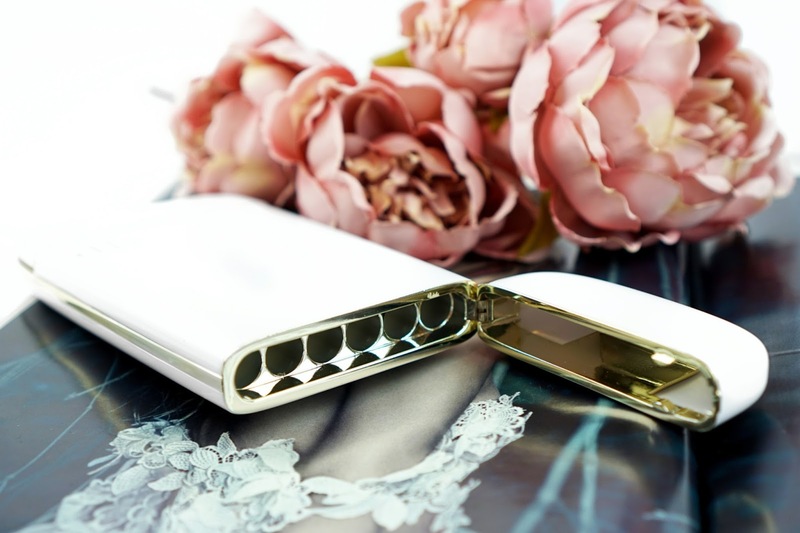 The Capsule is completely customizable, all you need to do is select your makeup and skincare and load the Capsule! I chose the foundation in two shades: Luda and Milan. The foundation has a matte finish and needs to be worked into the skin before it dries. It has medium coverage but it is buildable and blends well. Lude is a very pale light shade and turned out to be too light for me, however it will work great as a concealer instead. Milan is perfect for light skin tones. Although the foundation applies evenly and has a beautiful finish, I would recommend wearing a primer underneath. 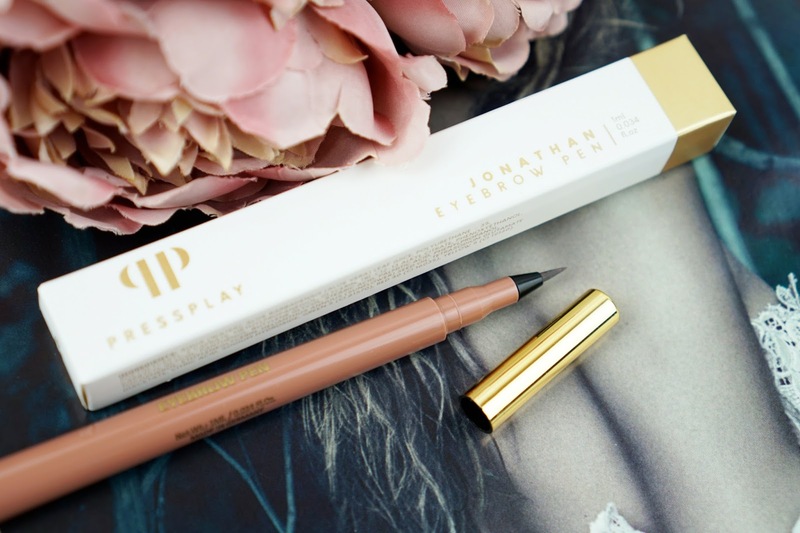 The Jonathan Eyebrow Pen is perfect for lighter brows. 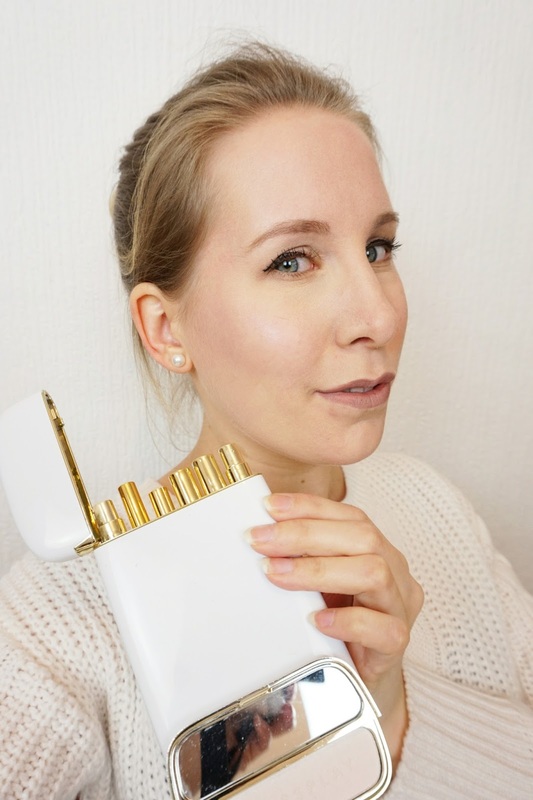 The formula is like a felt tip and the precision tip allows you to really define those brows. The pen has a beautiful natural finish and once dry is absolutely smudge proof and lasts throughout the day. The Alexander Eyeliner is everything you want and need in an eyeliner. It is the blackest black, super pigmented and will not move at all once dry. The tip makes it so easy to apply. If you are a fan of liquid eyeliner pens, this one is definitely a must-have. The Christopher mascara is a decent black mascara that applies really well. The small brush and the formula are so lovely to work with and do not clump at all. One layer works for me, but if you prefer to add a little more drama, you can add another layer as the mascara is very buildable. The Roman Face Paint is super versatile. It dries up matte and I chose it to use as a matte liquid lipstick, however it can easily be used as a liquid blusher as well. The fact that the face paint is super pigmented, is not something you have to fear if you decide to use it as a blusher because the formula is super creamy and blends really well. 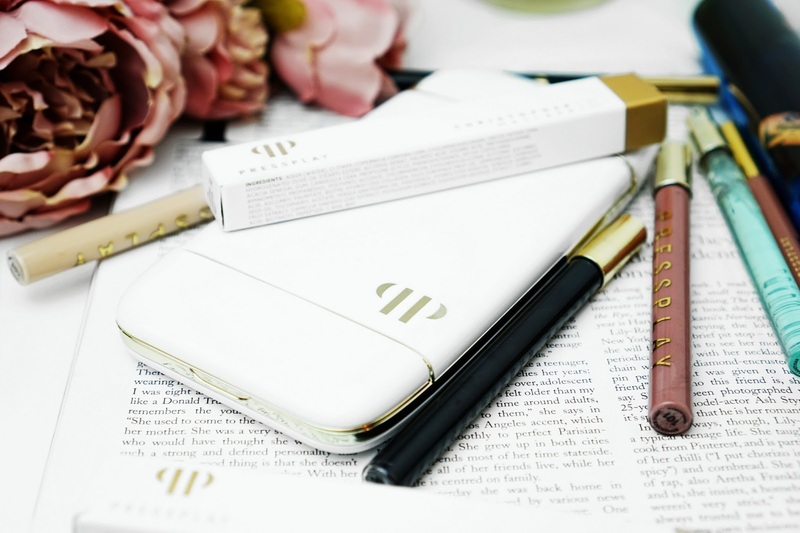 The Pierre Highlighter comes in a loose pan with double-sided tape on the back which allows you to place it in the powder holder at the bottom of the Capsule. The sponge provided with the pan makes placing the highlighter into the Capsule super easy and mess free. The highlighter itself is a truly stunning champagne shade that is so pigmented and the texture is gorgeous. In terms of skincare, I picked the hand sanitizer because I love having that with me on-the-go. It comes in a super handy pump, smells of fresh citrus and does exactly what you would expect from a hand sanitizer. I am absolutely in love with the Pressplay Capsule and frankly I am surprised that nobody has thought of it before! I was convinced the moment I saw it advertised on Instagram and I am very happy the actual product did not disappoint. Carrying the Capsule is so easy with it being the size of a smartphone, and it allows you to have everything you need, super organised in your bag. 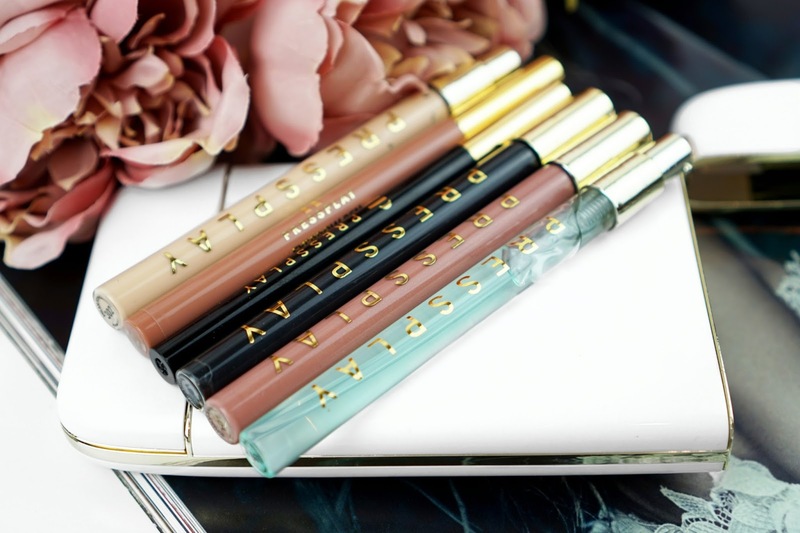 The liquid products come in glass tubes of 7ml each which allows you to carry them in your hand luggage when travelling by plane. The foundations and skincare come in packs of three, so no need to worry about running out. The products themselves are of high quality and are perfect for a quick touch up. Luxurious, glamorous, high quality and super efficient and I am looking forward to carrying it with me everywhere I go! Pressplay Cosmetics are proudly cruelty free and offer some vegan products such as the Pierre Highlighter and Roman Face Paint. 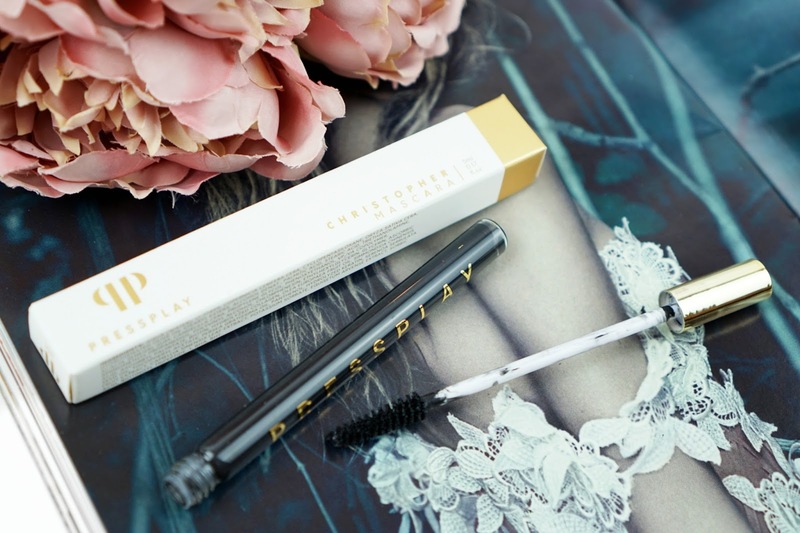 The Pressplay Capsule is available through Pressplay Cosmetics. UK shipping is now available. I hope I have made you as enthusiastic as I am! All of these photos are absolutely beautiful! 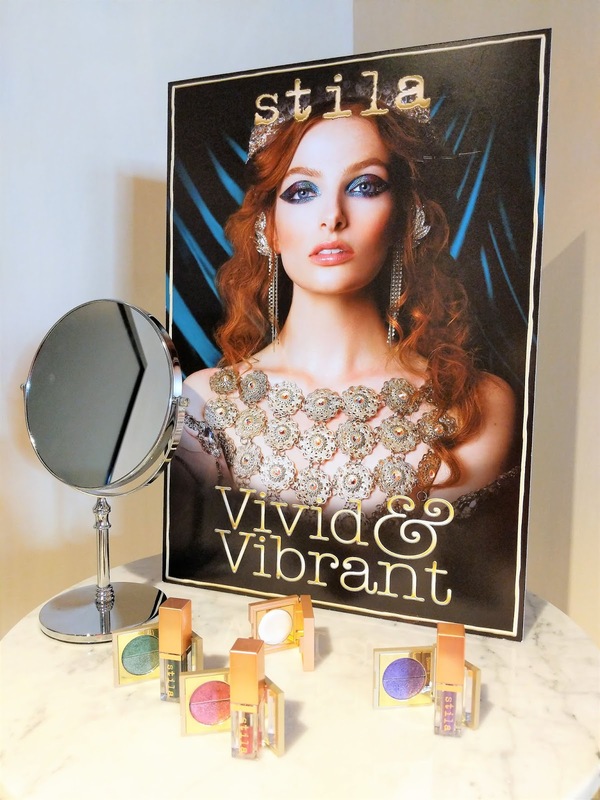 I am loving reading about this brand and must try them out! This is amazing! Definitely need one of these in my life!